BUXOM by bareMinerals is famous for their glosses and this year the brand has created a showstopper of a collection for the holidays that any girl will sure love to receive. The collection is called Lip Gloss Roulette and it's a winning collection that contains an assortment of 15 mini lip glosses in Full-On Lip Polishes & Lip Creams formulas. 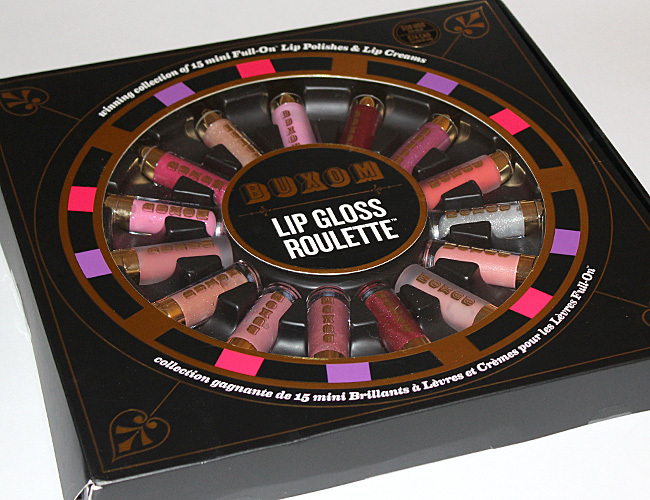 Not only is BUXOM Lip Gloss Roulette a great gift for the beauty girl, it perfect for those of us addicted to these tingly glosses because the colors and assortment of finishes are perfect. There are 15 lip glosses in all, in sheer, shimmering polishes & glassy-smooth creams. You can wear them on their own or top them over a lipstick. I also like to pick up sets like these because I like wrapping a little lipgloss on top of other presents and for $59.00 for 15 glosses, great glosses, the deal is great. 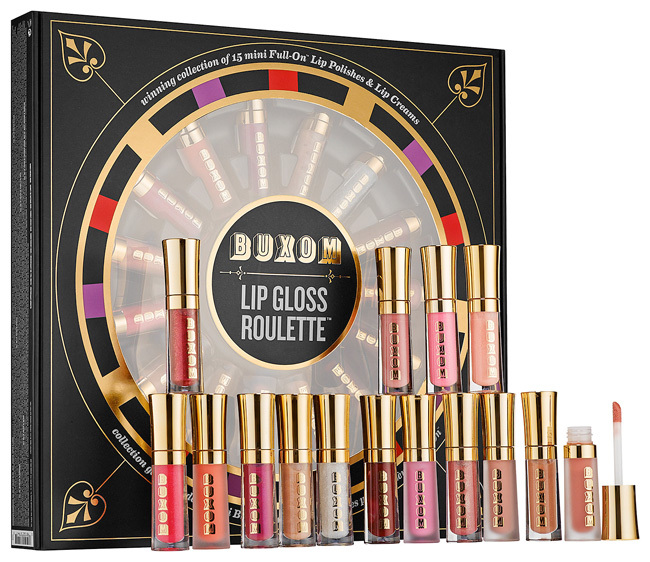 The BUXOM Lip Gloss Roulette set is an exclusive to Sephora and Sephora.com where is sells for $59.00 now.